Restaurants are theoretically safe places where you can enjoy your chicken chimichangas in peace. But as part of a growing national trend, they have become—if you’re involved in politics—a place where those who oppose your viewpoints can confront you or refuse you service. On Saturday, protesters had gathered at the Louisville branch of the Immigration And Customs Enforcement Office when word came that McConnell was dining at a restaurant several miles away. Through social media, a chapter of the Democratic Socialists Of America then mobilized their ranks toward the restaurant. When McConnell walked out of the restaurant’s back door, he was confronted by the group—several holding cameras. 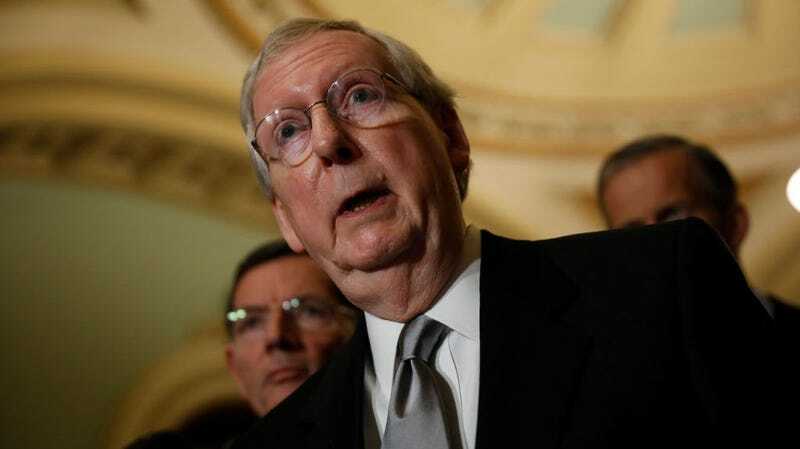 Chants of “Where are the babies, Mitch!”, “Turtle head!”, and “We know where you live, Mitch!” rained down upon the Senate Majority Leader, the Post reported. The Louisville Courier-Journal stated that one protester blared Public Enemy’s “Fight The Power” from a loudspeaker.